There are so many different coffee machines out there so please let us help you to make the right choice. We have worked on most makes and models and understand what is important when it comes to espresso coffee. Our prices are extremely competitive and you can have any of the equipment on a purchase lease making it easy for you to find the most suitable machine. This is the preferred choice by many of our customers. 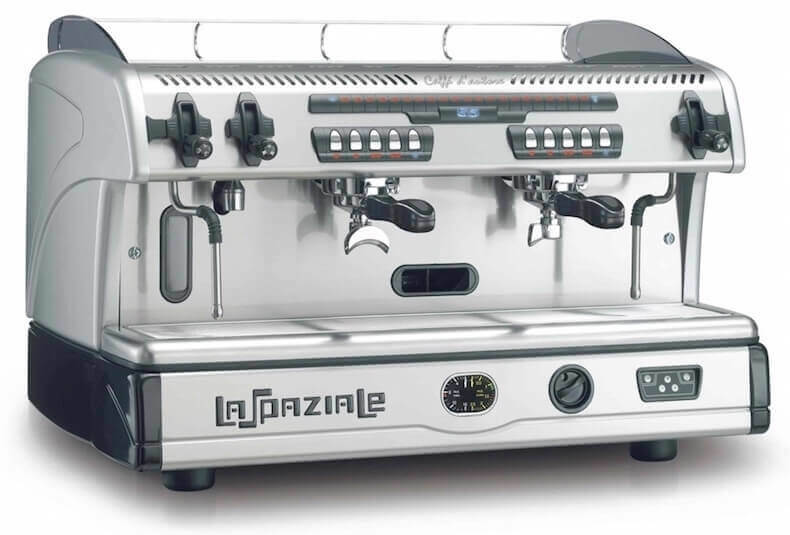 La Spaziale has been the official espresso machine for the UK Barista Championships. View the inner workings of a La Spaziale espresso machine. Interested in seeing how a La Spaziale machine is built? Read about the story. 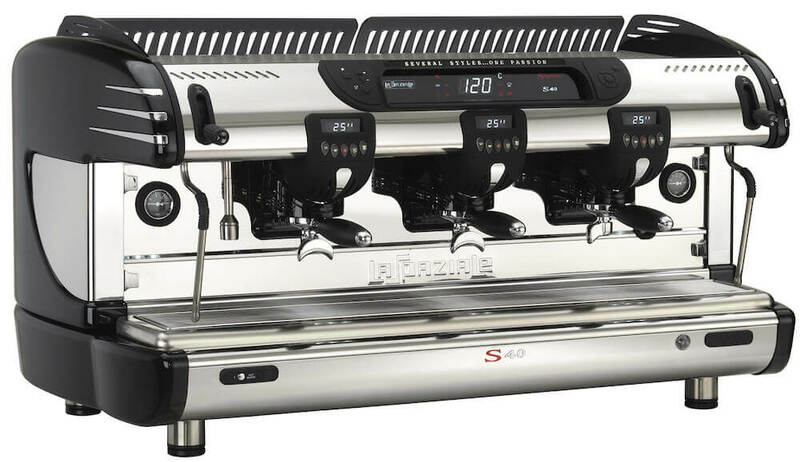 The La Spaziale S40 Seletron is the 'digital' model of the S40 range. The large main display gives digital readings to the barista such as boiler temperature, water levels and pump pressures. The good thing about this espresso coffee machine is that the Seletron can accurately record any issues and feed this back to the barista. The digital system also gives you some fantastic options such as a fully customisable on/off timer so you can program the espresso machine to come and off during the week specific for each day. The Seletron also has extra safety features. For example, it has overfill protection to prevent the boiler from flooding and it has a boost function to work hard when the machine is put under pressure. 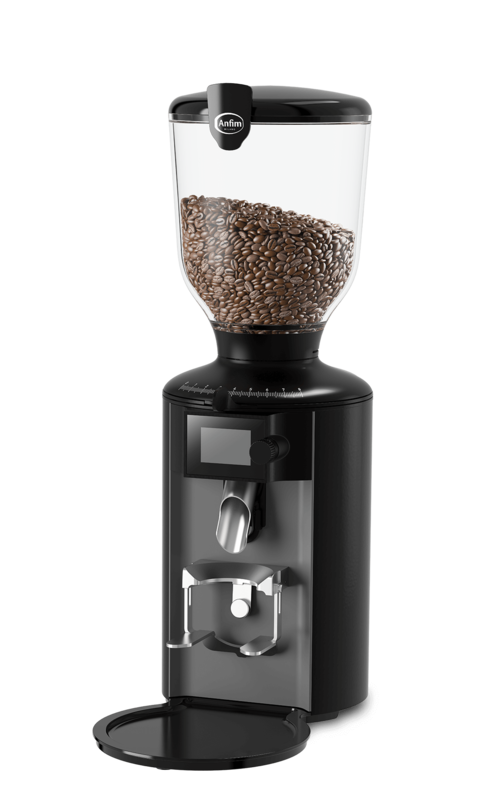 The group heads have LCD displays which not only show you the extraction time, but also tells you whether the grind requires adjusting. When programming the volumetric buttons, the large LCD display is giving you a digital readout of the flow meter so that you can record your ideal brewing cycle. The group head temperatures are independent and separate from the main boiler. This allows you to set the pressure of the steam to whatever you like without it having an impact on the brewing temperature. Two hot water buttons can give you pre-set volumes of hot water. One hot water button for near boiling water and one button for a customisable hot water temperature. There is a cup warmer on top of the machine that can be set to various temperatures. Access to programming is controlled by a user card. This card allows you to set many options on the machine and is also used to enter the group head washing cycle. The extra long steam wands are easy to manoeuvre and are operated by a user friendly lever system. 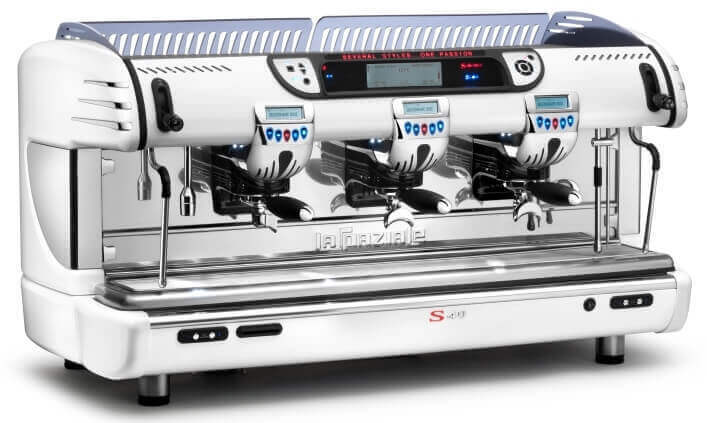 This amazing looking La Spaziale S40 Suprema is a modification of the La Spaziale S40 Seletron. 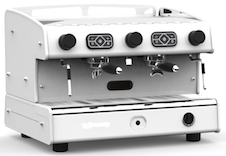 The Suprema is a mixture of the looks of the S40 and the S9 and is a stunning commercial espresso machine. The group heads are housed in a beautiful black casing and highlighted with very cool barista lights. The main display has been replaced with a digital temperature display and you have analog gauges for the steam pressure and the water pressure. There is only one hot water outlet however this is a mixed hot water outlet so you can customise the temperature. 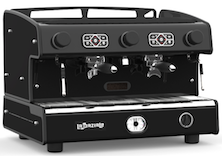 The Suprema is ideal for those who like a top of the range espresso machine with the stunning looks yet do not need too many bells and whistles, just amazing coffee! The La Spaziale S40 has integrated ITC (Individual Temperature Control) to ensure you are brewing at consistent temperatures resulting in spot on espressos. The side panels come in different colours, please see the brochure for more info. In 2017 La Spaziale decided to revamp the S9 and the DSP is it! A modern look with a clear temperature display, beautiful side panels and a programmable hot water button. Stylish lights on the side of the machine show the current state of operation such as heating. The eco function is also a new addition to the La Spaziale S9 DSP. This allows the barista to put the S9 DSP into an energy saving mode reducing the power consumption by 15%. The DSP from La Spaziale has LEDs to illuminate the worktop. Looking for an espresso coffee machine that produces the finest espressos all day long with no hassle? Then the La Spaziale S5 is the right choice. This espresso machine is a work horse and has been designed to serve hundreds of coffees all day long. 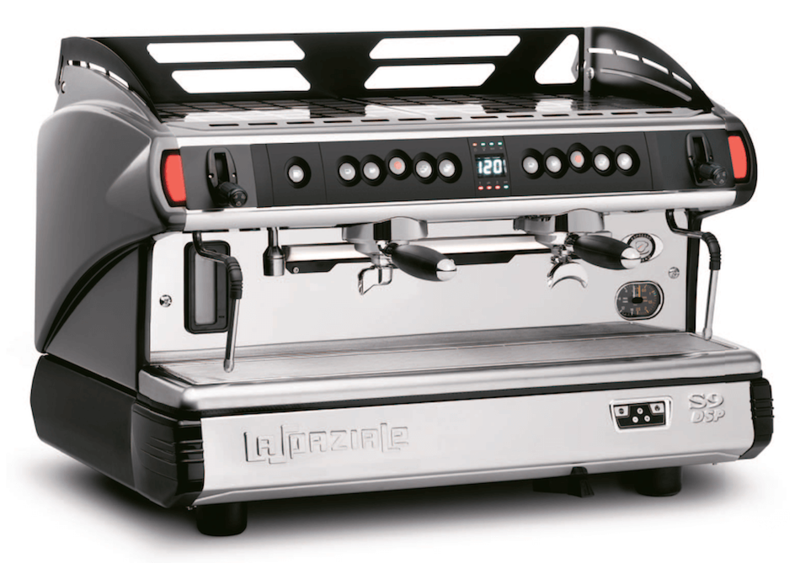 The popular choice for many coffee shop owners; the La Spaziale S5 has one of the most solid reputation in the coffee industry. Need a quality espresso machine that produces delicious coffees all day without spending a fortune? 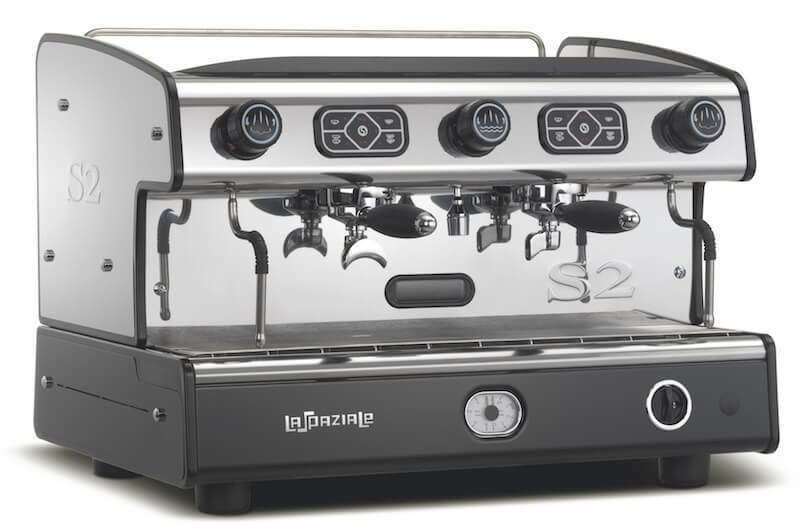 Then the La Spaziale S2 could be the best choice for you. The S2 fits many budgets and is a very solid and reliable work horse that is being used by many satisfied owners all over the world. Grinders are often an afterthought and that is a real shame as the grinder has a huge impact on the quality of coffee that you will be serving. 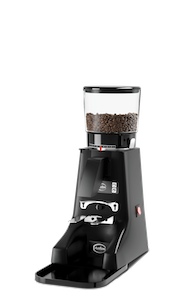 You need a grinder that not only grinds a high quality of ground coffee but also a grinder that is fast, consistent and grinds fresh for every cup. 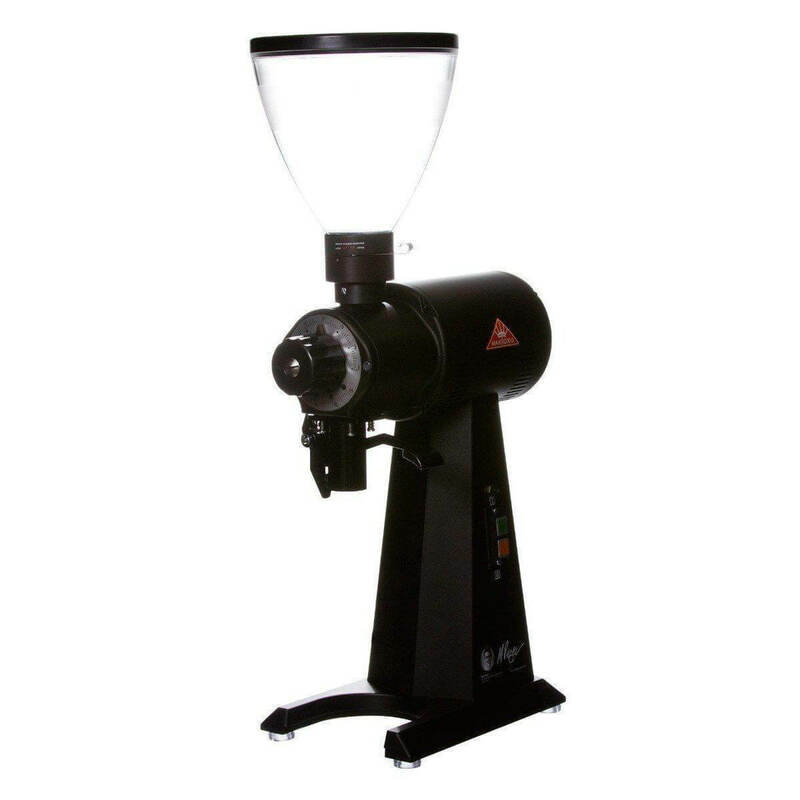 With our espresso coffee machines we include a top of the range Anfim on-demand grinder. These grinders grind straight into the group handle and grind fresh for every coffee. They are fast and very consistent. We always recommend on-demand coffee grinders over doser grinders (which store ground coffee in a dosing chamber) as on-demand grinders ensure each coffee is fresh and therefore more aromatic and more delicious. Please do get in touch with us as we would love to hear from you. We will respond quickly to your request and we will do our best to put together the ideal package for you. If you are completely new to coffee then please let us know and we will explain how it all works. We work with many new start ups and are used to helping people out from start to finish. We install espresso coffee machines every week all over the country. We would of course love to meet up with you and have a coffee together to see what we can do for you. Please note that we have a wide range of equipment available and can suit most realistic budgets. Bean to cup machines is not something we work with as we specialise in traditional espresso equipment only. This is simply because a traditional espresso machine gives the best flavour and provide the best environment for coffee shops who serve speciality coffee. 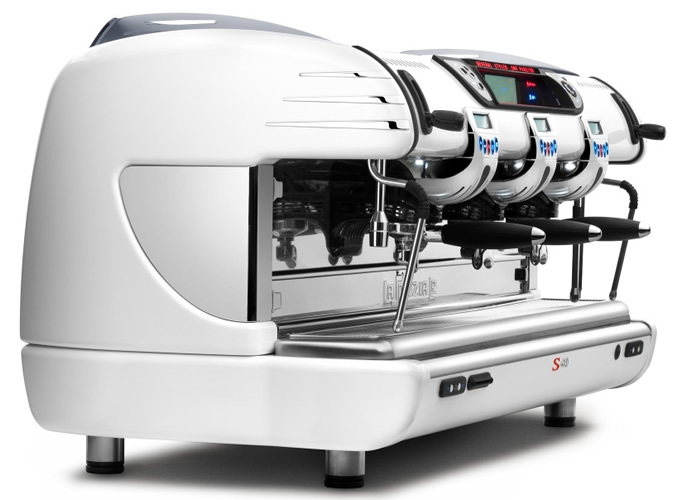 We provide the very best barista training with the machines which will ensure that you will truly impress your customers with a fantastic coffee. Don't just serve your customers a good cup of coffee, serve them a coffee that is worth shouting about! We would love to help you with this. We can install equipment nationwide and do so every week with many happy returning customers.